Cat Scratching | Pet MasterMind - Effective & Ethical Pet Products! Anyone who’s ever owned a cat has heard that Infamous sound. That scraping across your furniture or your carpets that makes you inwardly cringe with the knowledge that your cat is currently running their claws along something in your home. Unfortunately, this is more than often happening on a piece of furniture that you actually like. This is one of the few downfalls to owning a cat, and something that we really have to learn how to deal with. Let’s face it, animals communicate very differently than people. This is part of why we like them, and part of what makes them so difficult to understand sometimes. 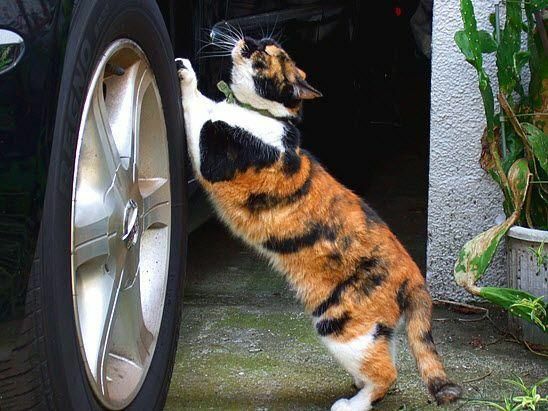 Scratching things is a Perfectly Natural reaction for any feline friend. They do this in response to several different types of internal and external stimuli. In other words, they’re going to do it whether you want them to or not so you need to figure out an alternative for them. Fortunately, your cat’s not doing this because they don’t like you. They’re simply doing this because there are some instincts that don’t go away just because an animal has been domesticated. Your cat’s doing exactly what it would be doing if it was running around outside and not living in your home. Just because fluffy has his food hand-fed to him everyday and spends 3 hours being copiously petted doesn’t mean that he’s not going to still Embrace his Wild Side sometimes. Cats are some of the most stubborn creatures out there. When they genuinely want to scratch something, they’re going to find a way to do it. Sometimes, it’s a good idea to offer them a similar alternative. If they absolutely love scratching up a section of your carpet, see if you can find a carpet sample that mimics this and place it over the area. You can secure it with velcro or weigh it down by attaching it to a piece of wood. This is essentially making a flat scratching post that allows your cat to exercise their natural instinct without damaging your flooring. If you cat has one particular area in your home where they like to scratch, it may be a good idea to try to lead them elsewhere. You can do this by placing toys, brand new scratching posts, and even a little bit of catnip to draw them to that area. You can also place their food bowl next to it as an additional incentive. 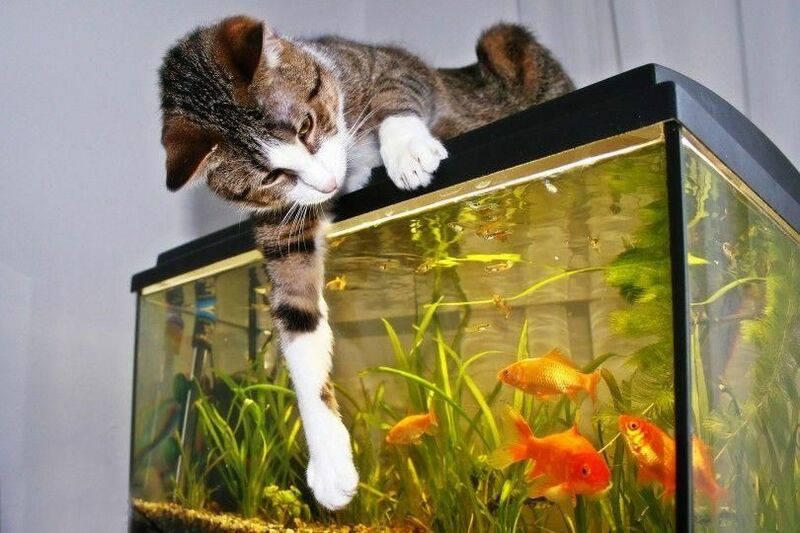 Cats like to be bribed. They’re independent, but they are far from stupid. Sometimes, the cat is absolutely Relentless with their need to use your antique duvet to stretch their claws on. This is when it’s a good idea to either remove that piece of furniture, or just shut the door. If you have a way to keep your cat out of that area, that’s really the simplest way to prevent them from damaging anything inside. If you’ve ever had a cat, then you understand the problems that can come with owning one. There times when they spray or use the bathroom in areas they’re not supposed to, they will chew on small things, get into everything in your house, and sometimes even claw up your nice Furniture. In spite of all of these issues, nothing beats that cozy feeling when you cuddle up with your favorite fur ball. Cats are one of our favorite pets, and it’s pretty easy to see why. They are incredibly independent, and fairly easy to house train. They’re good at caring for themselves, and really ask very little of their owners. Many people used to believe that a natural part of caring for your cat was having its claws taken out. This was a surgical procedure that made it so that your cat no longer had the claws within its paws and couldn’t scratch or tear up any of your furniture. People also believe that this helped to deter aggressive behaviors, and stopped cats from scratching people or other animals within their homes. So much of this has turned out to be misled. There are extremely good reasons for not declawing your cat. Imagine having each one of your fingers and toes cut off at the first joint in order to get rid of your nails. This is almost exactly the same thing that you’re doing to your cat when you take it in to have its claws surgically removed. Not only is this painful, it also makes it difficult for the cat to react in natural ways. It’s no longer able to scrape off the dead skin from its paws, or to defend itself if it gets into a bad situation. Cats don’t use their claws to be mean or aggressive for the most part. Taking them away simply because they ruin a good piece of furniture, is tantamount to animal abuse. Over the last few years, people have really begun to discover exactly what declawing means to a cat, and most vets are now saying that it’s not a good thing to do. There are enough alternatives to declawing that there really isn’t a reason to do it unless there’s some sort of medical condition. Cats don’t show discomfort the same way that human beings do. They will rarely limp or behave poorly if they’re feeling bad. For the most part once this procedure is done, they are in for a lifetime of pain every time they take a step. If you can imagine doctor induced arthritis, then you might be able to understand a portion of what your cat will be going through. They’re not going to tell you that they’re in pain. They are simply going to continue to walk around and try to behave normally for the rest of their lives. Cats have been domesticated since the dawn of civilization. They’ve been worshipped, owned, traded, bred, and killed over the course of human existence. In short- they’ve always been a part of us, and they still very much are. Housecats are one of the most popular pets in the world. They’re easy to train, small enough to house, and independent enough to spare your attention. They seem like the perfect pet, right? Maybe not. Tell that to the tattered corner or your couch, or your urine soaked mattress. There’s nothing more frustrating that doing everything right, and having everything go horribly and disgustingly wrong. You’ve taken perfect care of your sweet fuzzy housecat. He’s had his shots, been fixed, is well-fed, and has a regular bevy of household admirers. In other words, he has no reason to be unhappy. One evening he hops up on your lap, purring like a revved up engine, and being as sweet as any cat can possibly be. You start to pet him, congratulating yourself on being such a fabulous pet owner- and that’s when you feel it. The warm spray hitting your chest and bouncing up to mist your hair. The feral fur-ball is spraying all over you and your thousand-dollar mattress. You can put up with a cat scratching the couch, but this- this is taking it too far! Those ragged corners of your couch, or that bare spot on your favorite carpet aren’t there because your cat is angry or trying to upset you. In fact, it’s not about you at all. Your cat’s claws are necessary to their survival (because Fluffy’s so fierce), and they need to keep them in shape. Just like you clip your nails, a cat needs to remove the dead skin from around their claws. Scratching helps keep their claws sharp, and helps to establish their territory. Cats actually have scent glands in their paws, and they use these to take ownership of parts of your home. If this is a problem, try getting them a scratching post. You may have to get several different models before you find one that your kitty will choose over your couch. If you’ve ever woke up to find a mouse carcass sharing your pillow- don’t worry, it’s not the mafia. It’s just your cat’s way of telling you how much they love you. Cats associate food with survival. You feed them, and they may be trying to feed you in return. It’s their way of saying, “Hey, I want you to live”. That’s about as sentimental as a cat can get. So, dispose of the “offering”, clean your pillow- and pet your feline companion a little bit more than usual. It can be really distressing to discover that your cat’s been using your laundry pile as their personal bathroom. 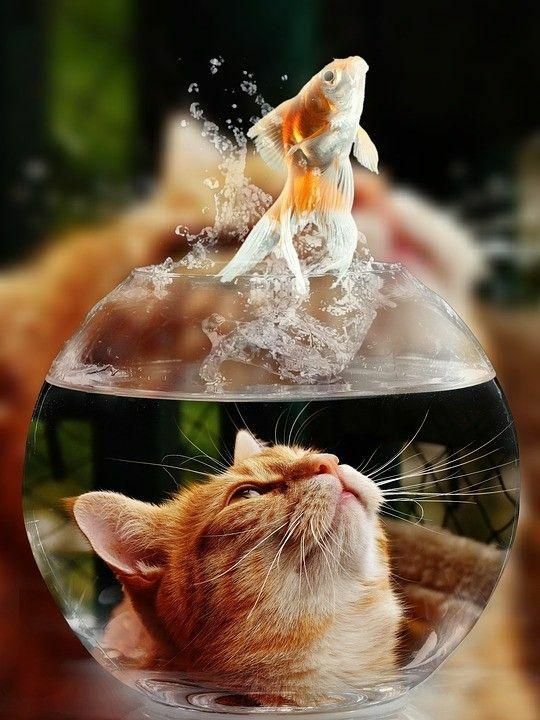 Cat urine is notoriously strong smelling, and difficult to get out of pretty much everything. Their feces isn’t much better, and can cause infection. This can be a sign of a urinary tract infection, and can signal a need to get your cat to the vet. If a UTI isn’t the culprit, you may need to clean the litter box more frequently. Or, change the litter box altogether. Having options can help. If a cat is fixed and still spraying, then it may be due to psychological issues. Try to identify any major changes, and try to make your cat feel more secure. Scratching posts are a great idea, at least in principle. Give your cat a place to expend all that destructive energy, and save your furniture! Unfortunately, many cats are unsurprisingly persnickety, and more often than not after a first inspection your fancy new scratching post will never again rate so much as a glance. How can you convince your oh so discerning feline to actually use what you provide? Cats scratch away at whatever is available to them in order to clean and sharpen their claws, an instinctive behavior they will engage in no matter how much you discourage them. It’s all well and good to tell them no when they have a go at your couch, but unless you provide them an alternative, it’s unlikely to stick. That alternative needs to be at least as good as your furniture if you want it to see use. 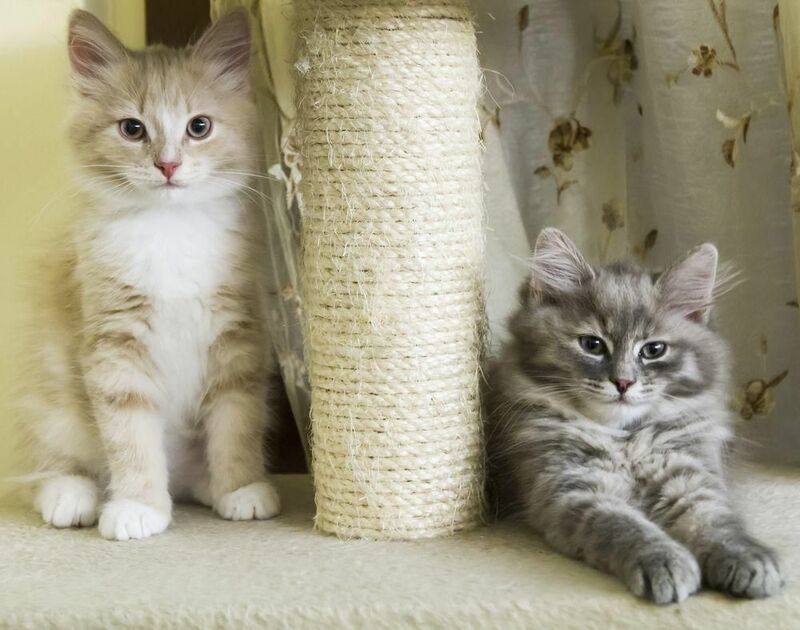 Cats look for three things in their scratching spots: stability, size, and texture, and the generic posts you can buy at any pet store fail two out of three of these considerations. If you’ve ever really watched your cat sharpening their claws, you know they put their full backs into it, and all but the most solid of posts will wobble or even tip over under this treatment, especially for larger cats. Cats also like to reach up high and dig in with both claws at once, and most posts are a bit too short and too narrow for this treatment. A quick look at on-line source will reveal an enormous number of plans for homemade scratching posts, of varying quality, and many do work quite well. If that’s your preferred route, look for one of the larger, heavier models. There is, however, an easier, cheaper option. You almost certainly have any number of surfaces in your house that meet the size and stability requirements, but are only missing the third consideration, texture, and this can be quickly fixed. First you need your texture. If you happen to have any old pieces of shag carpeting lying around, those work well, but otherwise a well-textured sisal or fabric welcome mat is perfect in both size and material, and should be available for about ten or fifteen dollars at any home goods or hardware store. Next you need a surface. An out of the way door frame is probably the best spot, but any really solid location will do. If you do use a door frame, it’s just a matter of wrapping the mat or carpeting around the bottom corner of the frame, and fixing it in place with a staple gun or small tacks. Running it lengthwise up from the floor will create a surface tall and wide enough for any cat, and pulled tight and stapled securely it will be as solid as your house itself. Don’t worry too much about damage, the tiny holes the staples leave can easily be fixed with paint alone, and even tacks will only require a swipe of filler. Now just introduce your cat to their new post, and hope they take the hint! For less than twenty dollars and five minutes of work you can have a rock solid, easily replaced scratching spot that will hopefully have your cat turning up their nose at the inferior option provided by your furniture, rather than the other way around.